About EscapeAllTheseThings.com, its radical author, Tim McHyde, and his equally radical (but more silly) wife and fellow ministering partner, Katrina McHyde. Since starting his first Bible prophecy website in 1999, Tim McHyde has written hundreds of articles and answered over 50,000 reader Bible questions. By following Jesus' own literal interpretation approach to interpreting Scripture (John 10:35), he has explained hard, overlooked passages, such as the "Wormwood" mystery at the center of the Book of Revelation (Rev 8:11) and Jesus' Sermon on the Mount. Tim's book Know the Future uses this same literal approach to lay out the entire end time roadmap ahead. Like the website articles, it has brought comfort to thousands of readers who were previously scared or confused by Bible prophecy (or, more often, the rampant Christian speculation over it). His Supporter Studies share his latest research on Jesus' difficult words. They are the basis for his next book (for free) for Christians who realize that there is something big missing in their life that Christianity never taught them. (Hint: understanding what Jesus said to do as your "Lord" and training on how to do it per Luke 6:46). Tim retired from programming Bible software in 2008 to work full time in ministry—starting with his own family. He currently lives in Germany with his wife Katrina and two sons. They moved there in 2015 after 16 years of living in Costa Rica. Living overseas like missionaries in diverse cultures has been challenging call of God to answer, but so instrumental to the spiritual growth of all the McHyde's. Tim also enjoys and grows from occasional speaking engagements. Find out more on inviting him to your church here. The reason I began EscapeAllTheseThings.com was at first to share the exciting things I was learning from my studies on end time Bible prophecy. I was confused and dissatisfied by the popular Christian explanations on prophetic passages. They hardly ever stood up to scrutiny when I checked them as a Berean (Acts 17:11) against literal Scripture (Acts 17:11; John 10:35). Although I never intended to be a writer, I was lead to write articles on my discoveries to help other believers who kept asking me the same questions I had. Sharing an article link is easier than writing yet another email to answer the same question. These website articles are what curried so many questions from readers. Answering emails takes a lot of time, but it benefited me as well by allowing me to see things I never would have seen, such as how Christianity has failed believers by leaving them to struggle with major issues and questions even after years of sermons. Religions like Christianity are good at telling people what to believe. They have their creeds, doctrinal statements and theologies. But most served by religion are left confused and wondering, "What does God want?" In other words, never mind what we we've been told to believe about God on Sunday, what does he really want us to do—according to the Bible, not religious leaders? That's the fundamental question behind all the research I do and share here at EscapeAllTheseThings.com. To do so I depart from typical allegorical or symbolic interpretations and instead use literal interpretation and good, rational thinking to arrive at the best explanation. 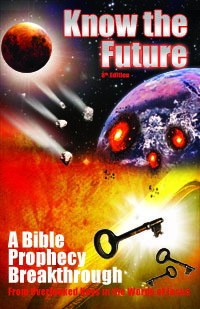 Thus, this site is not only a Bible prophecy site, but about all of God's word and will. For me, being able to answer what God wants required first understanding the whole Bible, starting with the difficult writings of the prophets. I'm here to help you understand that part, too, as well as the big question of what God wants. The McHyde's eldest son, recovering from Autism, has given the whole family a gift to grow in the 'class study' of grace and knowledge. She has been deep in to raising their two sons, Zachary and Caleb, for over 23 years collectively. Katrina decided to take 'the course' entitled Nervous Breakdown five times in her life. She has now graduated from that study and no longer needs to revisit it as she learned what she needed to move on to other studies. This class has helped her tremendously in learning compassion for the hurting, as well as tools to minister to those who feel their hope fading or wavering. Katrina is passionate about living by example, and learning to be honest where she is still growing. It is her hope that by being willing to share her stories of continued education in UHK (University of Hard Knocks) that they will inspire others to feel a safe place to work on themselves too with support, love, and ideas she passes on to those who wish to have some answers for the life tests that most face sometime or another. Her passions include, reading the Bible, praying, dancing, improving her famous silliness, and encouraging others on to good works. She also enjoys traveling and deepening her relationships that God has graced her with (by the way- you want Katrina to come on your trips. Always awesome things happen from God on them. Tim refers to this phenomenon as Katrina's travel faith). Although she is in continuing studies, she has been blessed with an 'on the job training program' in the field of missions. Born and raised in the United States, she has had the privilege of having life classes in living in foreign lands as well, namely Costa Rica and Germany. She entered both countries not knowing the language at first and raising children in foreign lands (I would not go so far as to say I can speak German still). This has taught her how to grow in genuine faith in the only God that has the true wisdom and power to help anywhere, and at any time. In this space Christian ministries typically share espoused doctrines and beliefs that have nothing to do with their daily life or practical decisions; in other words, a lot of head knowledge (which Christians do not agree on, anyway). Sound familiar? This standard definition of faith results in "believers" with some theology but sadly no lasting "fruits of repentance" (Mt 3:8) or progress towards becoming like Jesus as the faith actually requires (Jn 13:35; 1Jn 2:6; 1Co 11:1; 1Pt 2:21; Eph 5:1-2). In the scariest passage in the Bible, Jesus highlighted this problem when he said he will reject believers with cheap, counterfeit faith like that at his return (Lk 6:46; Mt 7:23). Yes, that's most Christians. It's not surprising when you consider that 95% of Christians surveyed admit they have not read the whole Bible. This forces them to trust and hope that their religion "coming in Jesus' name" (Mt 24:5) is not deceiving them, something Jesus expressly warned would happen (Mt 24:4). "God is good/love and rewards those who diligently seek him" (1Jn 4:8; Mk 10:18; Heb 11:6; Gen 15:6) by "loving their neighbor as themselves" in faith, just as Jesus trained his disciples to do (John 13:35). The statement above sums up the walk of all saints of all times whether they heard of Jesus or had a Bible or not. If Christians really believed Jesus and focused on the above truth of God's Word (instead of doing what religion says to focus on), they would be doing Jesus' law (Gal 6:2) as Lord (Lk 6:46) by leading a love and faith revolution in the world like the original church did in Jerusalem (Acts 2:42-47; Acts 5:13). Do you find this site and "statement of faith" refreshingly different? Have you already found comfort and help from the free articles and feel gratitude you wish to act on scripturally (Gal 6:6)? Have you already felt "something was missing" in your Christian walk but could not put your finger on it? If any of the above fits you then check out the available supporter studies which delve deeply into understanding the difficult words of Jesus and how to do them. 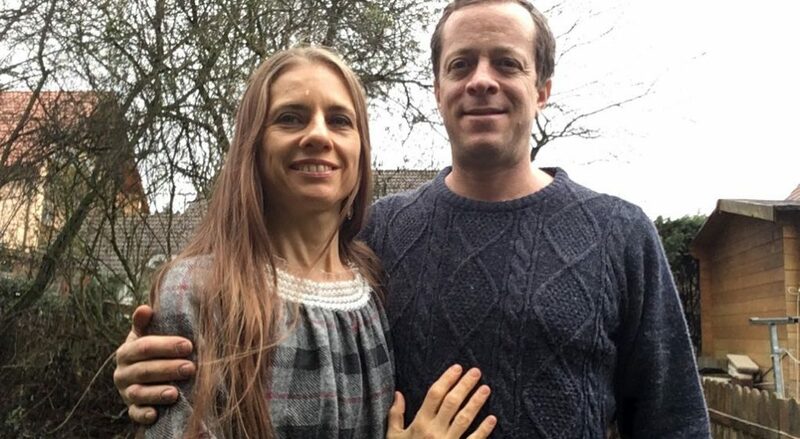 By joining the Support Team today you will get the help and direction you need now and will help many others receive it later with the free release of Tim and Katrina's coming next book based on these studies. Hey Tim Harry Gates here. My wife connected me with you many years ago. I’m a recovering alcoholic and been sober now for over 4 years. Thank you LORD! Got sober back in 92 till 98 then went back our for 15 years. Thank the LORD He never left me and had open arms when I his prodigal son returned. Just wanted to let you know that I turned 59 on the 23rd of September, so that’s probably why people are thinking it’s the end of times. HA HA! I probably shouldn’t still be alive today, but the LORD still has work for me to accomplish for Him. I tell people who believe anything they read on the internet not to believe it and to go to your site. I’m not the greatest of the LORD’S servants, but all I can do is try to follow the lead of the Holy Spirit and try to do the right thing. The rest the LORD forgives me for. Well keep up the good work and God Bless you brother. Greetings, Tim: Checking out your thoughts as word came to me from Messianic Bible Society from Israel of the try-outs of ‘animal sacrifices’ inaugurated last week (possibly Wednesday). Apparently the cohen (priests) had some of the original instruments and utensils salvaged from the previous Temple. And with this finding, much either goes quiet or aghast. Biggest reason: the warnings not to condemn the activities of the Temple when it is re-established…for all the reasons you pointed out in the article regarding the 3rd Temple. Heightened in the warning is not to condemn the actual Temple nor the animal sacrifices as it was prophesied. Being Judeo-Christian (Messianic by practice but Christian by foundation) it seems possible that there could be criticism by Christians and fears of reprisals by Jews – but it is also the time when we must be ever-vigilant to discern all acts as being based in Scripture plus the movement of the Ruach HaKodesh (Holy Spirit). If anything this is a time when the faithful should be able to come together and discover deeper meaning to the will of God. I run an internet radio facility and am always open to discuss spiritual matters as part of my Public Affairs programming, based in Texas. Let me know how to contact you should there be an interest. Hi, Tim. I was going through some old files on a hard drive and found correspondence with you from about 2008. I Googled, and here you are. Good to hear about you and your charming wife. Sound practical teachings. How do I buy a copy of the book ‘know the future ‘. What method of payment and delivery will be appropriate. I live in Nigeria. I want to be able to assess your articles. Obiajulu for countries without PayPal use the SWREG buttons here (scroll down past PayPal after clicking). Tim, I came upon your web site via looking for more updates on Benjamin Barauch’s book “The Day of the Lord is at hand”. I also just finished J. R. Nyquist’s The New Tactics of Global War, the last of which was very enlightening as to the possible takeover or deconstruction of America as we know it. I am interested in how to understand scripture and prepare for whatever Judgement God is about to bring on not only America but the “Church” in general. He said “Judgement first begins at the ” House of God ” and I realize the first thing I need to do is get my own “House” in order. I would like a copy of your book and need to know if there are any used copies or discounts available at this time. Meanwhile I will continue to read your latest e-mail updates and pray for Holy Spirit wisdom for us all!